A generous dusting of cumin, oregano, and paprika gives this chicken a Southwestern flavor that works perfectly on the grill, and going with bone-in, skin-on breasts gives you a much juicier, more flavorful result. With a protective layer of bone on one side and fat on the other, the breasts aren’t nearly as prone to drying out as their boneless skinless cousins, and you also get that irresistible crispy skin. 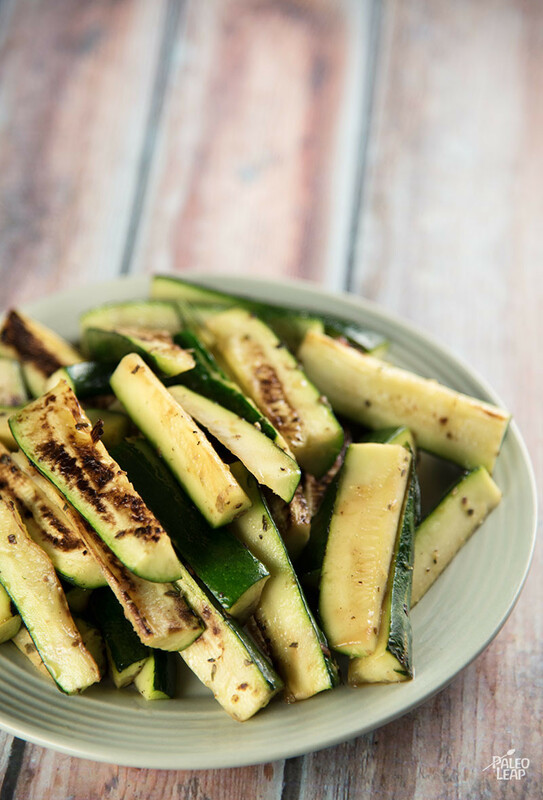 As an easy side dish, this recipe also has instructions for some quick grilled zucchini with just a dash of spices, lemon juice, and olive oil. They’re a tasty alternative to salad if you’re getting a little tired of mixed greens with your chicken breast, and you’ve already got the grill fired up, so the extra time is almost zero. You could also add on any other summer squash, or vegetables of about the same hardiness as zucchini for even more color and a different flavor combination. What about tomato slices, asparagus, or onion rings? Get creative, and enjoy the colorful results! In a bowl, combine the cumin seeds, garlic cloves, paprika, oregano, parsley, and season with salt and pepper to taste. Rub the chicken with the cumin seed mixture. Place the chicken on the grill over direct heat, skin side down. cook for 30 to 35 minutes, flipping every 5 minutes. Combine the zucchini with all the remaining ingredients, and grill for 2 to 3 minutes per side. 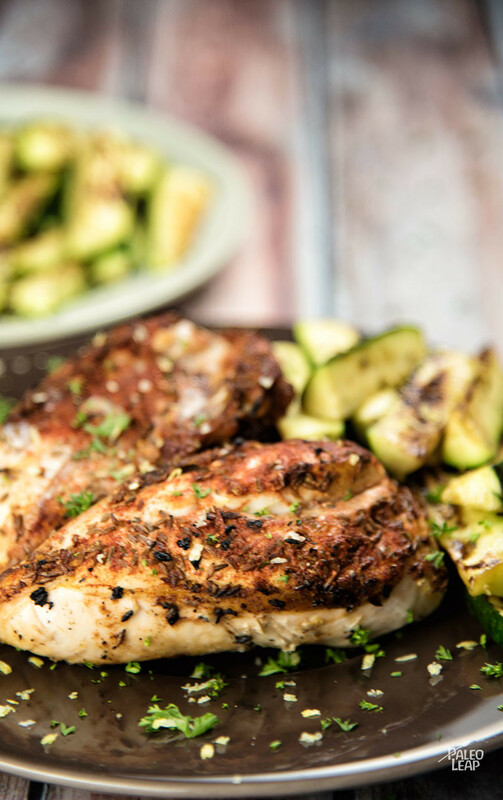 Serve the chicken with the grilled zucchini.